Overheating accounts for a huge percentage of restless sleep. Keep cool and comfortable all night long with the power of cooling gel. This pillow combines the therapeutic benefits of memory foam with the cool and comfortable properties of gel. Ideal for those who tend to be warmer sleepers. 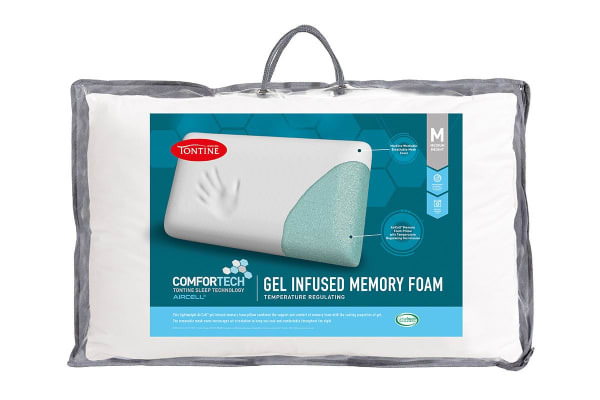 Not only will your head be floating on a cloud thanks to the supportive memory foam, but the advanced cooling and anti-microbial technology keeps you as fresh as can be for a more serene sleep.